Regardless the fact that the fashion tendencies for the spring summer 2013 season are eccentric, original and gold, one style never loses its leading positions: minimalism. Garments with the simple silhouettes performed in the classical styles make up the base of any contemporary wardrobe. When blended skillfully and complemented with the nice accessories, these garments compose the stylish ensembles. The fashion brand that is strongly associated with the elegant clothing in the classical style is Massimo Dutti. The Spain-based fashion label presented the spring summer 2013 lookbook featuring the elegant looks with minimalistic feel. Clothes created by Massimo Dutti is always distinguished with the polished look and skillful tailoring. 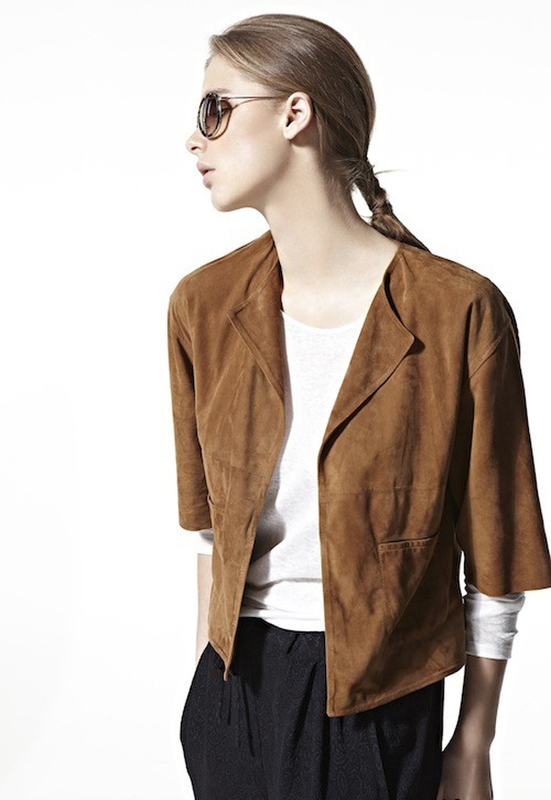 Massimo Dutti produces the garments for women that are looking for the simple silhouettes and elegant lines. This new Massimo Dutti spring summer 2013 women’s collection includes the white shirts, blouses, trousers, dresses and shorts- everything to complement the woman’s spring summer wardrobe. The key color in this Massimo Dutti lookbook is white, which is a perfect base for everyday looks. The white looks especially romantic in the white lace blouse that looks awesome when teamed with the plain jeans and a camel long blazer. Other colors presented in the collection are navy blue, camel, brown, light pink and grey. Despite the fact that this Massimo Dutti spring summer 2013 collection consists of the range of the ideally tailored pants, it was surprising to find the baggy silhouette in the casual slightly sporty style. looks from the collection could be worn with the high heel sandals, flat shoes, oversized bags, clutches and sunglasses.